In today’s Homecare Pharmacy industry, you need software solutions that address all aspects of providing pharmacy products to patients at home. Fastrack is your COMPLETE Pharmacy Software Solution. Through options in our software suite, focused on Home Infusion and Specialty Pharmacy, processing of prescriptions, electronic clinical management of the patient record, maintaining an accurate inventory, real time billing for reimbursement and improved cash flow and accounts receivable management are all evident to support this unique area of the Homecare industry. At Fastrack we understand your need to process prescription items from different perspectives, based on the clinical management of the patient, reimbursement requirements and inventory control issues. Our system provides several options for dispensing of items through our Pharmacy solutions, so that you can immediately bill through NCPDP D.0 format, including diabetic supplies and equipment, specialty pharmacy medications and Home Infusion compounded items. We recognize what it takes to keep you moving forward in an ever changing industry! Fastrack’s TPN calculator functionality is fully integrated with the Fastrack Homecare Pharmacy System and includes an interface to most BAXA Compounders. With one point of data entry for these complicated compounds, errors are reduced and valuable pharmacist time to manage these types of prescriptions, is minimized. 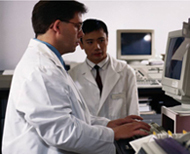 With numerous data entry options, orders received from physicians in a variety of ways, can be accommodated. Whether the prescription calls for specific ingredients, total number of calories – including the ability to balance the total carbohydrates, proteins and fats, or total attribute amounts, the Fastrack TPN Calculator can manage the calculations. With a fully customizable TPN formulary, the ability to pool electrolytes, enter specific intrinsic and attribute values for tracking and calculation, is all available at your fingertips. In addition, clinical reporting tools, reflecting the total nutritional amounts of the various ingredients within a compound, specific gravity calculations, osmolarity and more, are available. To see a listing of the key benefits of the Fastrack Homecare Pharmacy System click here.